SSA Blog: Who will win the World Cup? The first round is over, we have now seen each nation’s first foray into the 2018 FIFA World Cup. Far from giving us clarity, the intriguing the question of ‘who will win the competition?’ is perhaps even harder to predict than it was before the tournament started. The favourite nations have failed to convince, with only Ronaldo of the pre-tournament superstars has performed to a level worthy of the title. Before everyone abandons their predictions, we take a look at three possible predictive models that might help you stick or twist. The first – and most obvious is the FIFA world rankings. One might reasonably assume number one in the world equates to the greatest likelihood of success. On these grounds, the most obvious winner is Germany with Brazil as runners up. This might seem like a relatively solid bet on the surface; Germany after all, are defending champions and, despite an opening fixture defeat against a good Mexican team, have been in fine form in the intervening years. Only beaten by France in the Euro 2016 semi-finals and storming their World Cup qualification group with 10 wins from 10 games. Brazil, meanwhile, has been undergoing a revamp since their 7-1 humiliation by the Germans on home soil in the 2014 World Cup. Subsequently, they have changed manager and won the notoriously difficult South Americas qualification group by 10 points. Despite only a point vs the now infamous giant killers Iceland, they have the attacking strength to test any team in the world. Over the past 4 tournaments of the teams that have entered the World Cup carrying the number one ranking, no team has gone on to win. Indeed, the team ranked second has won in three out of the four tournaments (2002, 2010 & 2014), whilst Italy was not even within the top 10 of the world rankings (yet received a top-eight seeding for the draw) when they triumphed in 2006. Perhaps top-spot comes hand-in-hand with the weight of expectation? Candidate 2: A more thought-out ranking? Opta proposes an alternative prediction model. A team’s attacking and defensive strengths are factored from previous results, in conjunction with ‘World Cup specific variables’ to predict the outcome of each fixture. 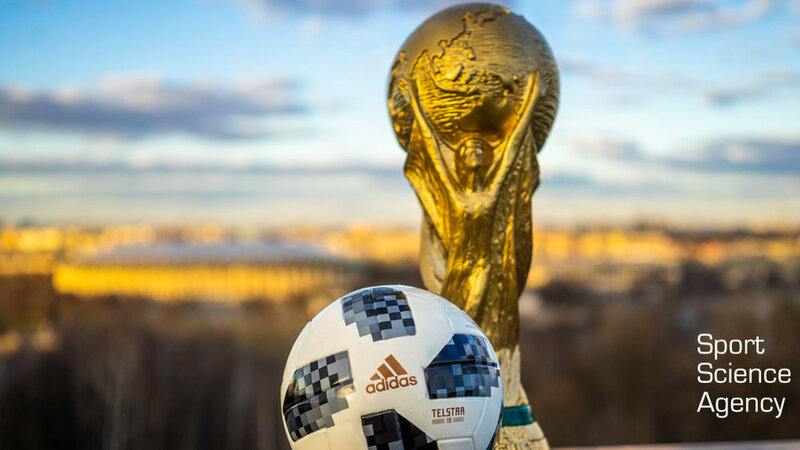 These include elements such as prospective fixture (and path) difficulty, home-field advantage for the tournament and previous world cup success. In their model, Brazil is predicted as the most likely winners, albeit with a mere 14.2 % chance of actually lifting the trophy. Germany, Argentina, Spain and France then jostle at around a 10% chance of glory. However, once again the model is not able to factor how changes in personnel might affect a team. Opta themselves state, for example, that if Messi were to be injured Argentina’s chances of success would plummet. Finally, a paper in 2005 from Halicioglu used a statistical model to argue that the success of a nation’s team is related to the degree of competition in their top-tier domestic league. Arguing that a nation’s domestic league is the primary breeding ground for new talent (even if this talent subsequently moves abroad), the author posits that nations whose players have been exposed to more competitive domestic football will inherently attain a national squad with greater talent than one whose league is relatively less competitive. Essentially, the more unpredictable a nation’s domestic league champion, the more competitive that nation’s international team is likely to be. The author validated the model against the Euro 2000 tournament outcome, finding that France (the eventual winners) also had the least predictable domestic league at the time. For those backing England, this model is the one to use to justify your choice. In the last 5 years, the English Premier League has seen 3 different winners and 5 different runners up. Among the tournament favourites, only the Brazilian league can match that competitiveness over the same time period. Whilst the model appears to have good general predictive strength, it does not factor for the number of ‘home-nation’ eligible players within a domestic league. This may be an interesting moderator to add to the predictive model. The various factors contributing to team-sports make it near impossible to predict with any degree of certainty how a team might progress. Indeed, Halicioglu (2005) concedes that football is a highly volatile and unpredictable sporting environment. Measurable factors can be used to compute likelihood, whilst non-measurable factors then disrupt the prediction. SSA Blog: England's captain fantastic? Harry Kane has been announced as England Captain for the 2018 FIFA World Cup in Russia. The role of England Captain has long held an association, like the game in the UK, with the more physical aspects of the game. The captain is supposed to be the embodiment of the 3 Lions, the heartbeat of the team, the leader, based on a model seemingly drawn from a combative military history. Football is now more professional than ever. Tournament football, which comes at the end of a long domestic season is increasingly demanding technically, tactically and emotionally. So, is a traditional chest pumping, hard tackling lead them over the trenches style of captaincy really the right fit for the modern game? The role of the captain has always generated debate. The build up to Russia 2018 has been no exception. Whether Gareth Southgate has added to the debate by not naming a fixed captain during his time as England manager is also a matter of opinion. Part of the problem with naming a captain is the lack of clarity around the role. What is needed/expected from a captain, do different captains excel in different ways and do different teams and situations call for different types of captaincy and leadership? Simple early research conducted decades ago highlighted that captains were often selected due to their high levels of performance and they tended to occupy central positional roles within a team. These basic propositions seem to have been followed to the present day with the majority of dissenting voices around Kane’s appointment pointing to his playing position rather than any lack of leadership quality. In the same study, where the authors surveyed over 4000 team sport players, results showed that in almost half of cases the nominated captains were not perceived as the leader in any of the four categories outlined. This led them to conclude that a shared leadership model could actually be the most efficient way to maximise team cohesion and performance. As mentioned earlier, Gareth Southgate may have added to the media speculation regarding the captaincy by sharing the responsibility around the group in the build up to the World Cup. In interviews since the announcement it has become clear that Kane knew his fate over a month before the media announcement. But has Southgate, by exposing Jordan Henderson, Gary Cahill and Eric Dyer to the role and formally establishing them in the minds of other players as captains, enabled him to build a wider leadership team which, according to the research can result in more effective outcomes? Cotterill & Fransen suggested in their 2016 paper, examining leadership in team sports, that good captaincy can have a marked impact on performance. By identifying a number of players and sharing the leadership roles Southgate may have established a system that better supports the needs of modern international tournament captaincy. Looking back at the areas identified as the role of a captain, in football, the tactical decisions are made by the manager and coaching staff so this area is of limited importance, particularly when dealing with elite well drilled players. Under FIFA rules a captain must be named for the tournament to act as the focal point for officials. This then naturally expands to other groups such as fans and media fulfilling the external element of the job. But behind the scenes, as we have heard from so many previous tournaments, the motivational and social responsibility is key to establishing a happy and cohesive squad. With three previous captains within the squad presented recently by the management team as leaders, the scope for effective leadership across these key areas is increased. Players are no longer limited in who they seek advice from, vent frustrations to, or socially engage with. Gareth Southgate has challenged the status quo in a number of ways since becoming England manager. In naming Harry Kane as his captain, it seems as if he has conformed to the old adage of your best player is the captain. However, the way he has developed other leaders within the group prior to the tournament shows his broader understanding of the demands associated with the role. Should Kane be the England Captain? Of course. Should Southgate be praised for the process by which he has developed this situation? Absolutely.